In Puja 2017: The entrance of the pandal will be like a huge arches, where the trunk mounted elephants will stand on the pandal pillar. 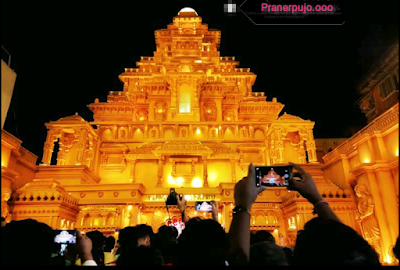 Like the poster of the sequel of the movie, Agarwal, through the Amarinder Bahubali trunk, Goswami said that the complete pandal will be made of brlywood and the idol will be very huge. In the style of the film, Goddess will be adorned with gold ornaments. It is worth Rs 10 crore. These days, the whole country is surrounded by shardy Navratri and Durga Puja. 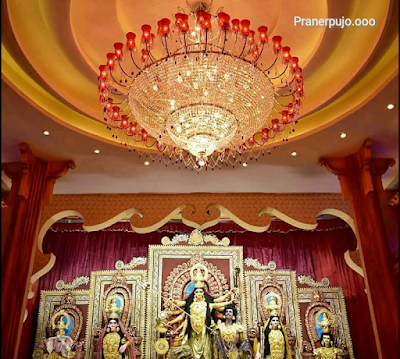 The Grand Durga Puja pandals have been prepared in West Bengal. The organizers of capital Kolkata have been impressed by the popularity of the movie 'Bahubali 2' and finalized the pandal on the lines of the grand city of Mahishma Nagar. 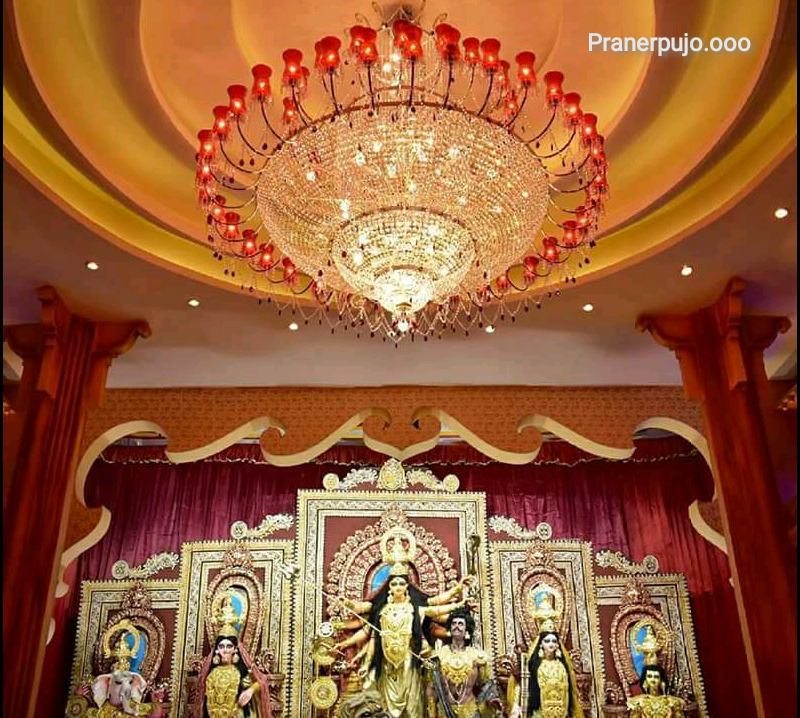 In this pandal made of a budget of about 10 crores, the goddess is adorned with gold ornaments. This time, the center of the second attraction of the metropolis is Durga Puja Pandal of Rs 28 lakhs in the size of the uterus. This will show IVF and test tube baby. 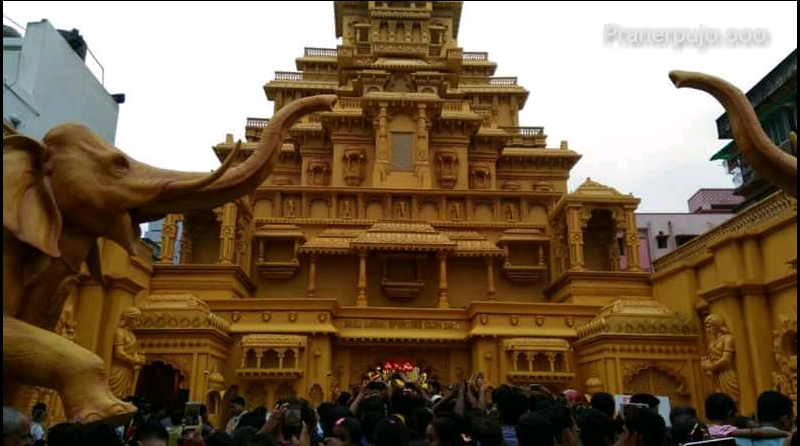 Apart from this, many other attractive pandals will also be seen. 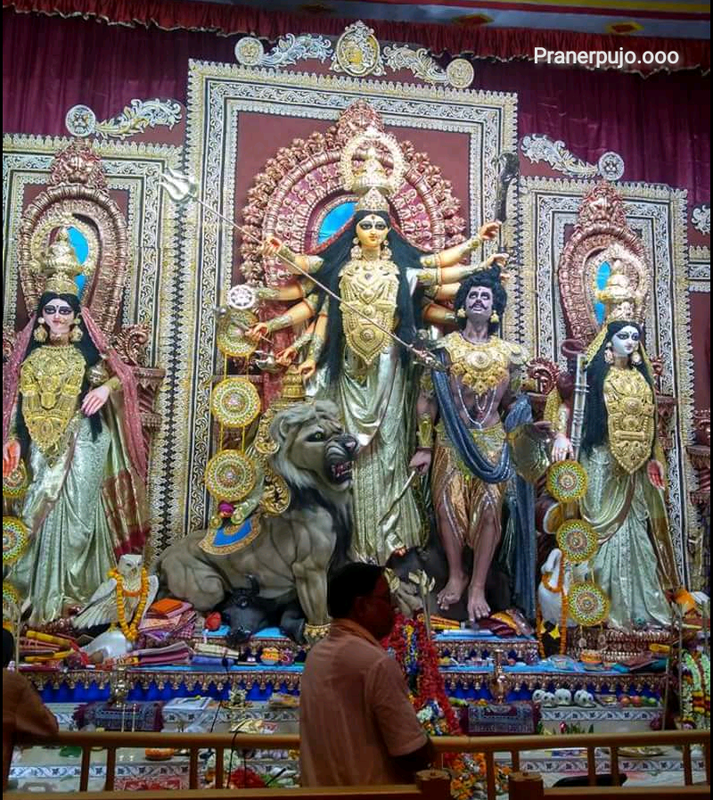 About 3000 pooja pandals are made in Kolkata. 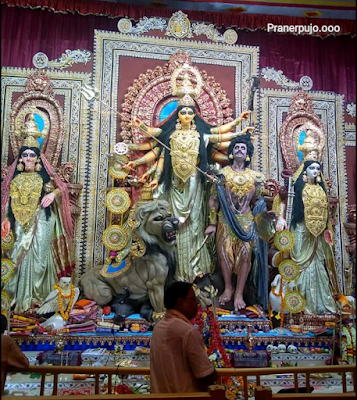 The city is ready to welcome Bhagwati Durga and her children. It will be so grand and unique that both the native and foreign visitors will be shocked to see it. In the northeast of the city, a 100-foot-high pandal at the venue of the Shreeibhoomi Sporting Club will get a glimpse of the set of 'Mahatmya Nagari' in the film 'Bahubali II'. Club D.K. Goswami said, "In view of the popularity of this film, we thought that not only would it be suitable for attracting the crowd at large but also for showing a glimpse of the diversity of Indian culture." Goswami has designed the basic design of Pandal. The entrance of the pandal will be like the huge arches, where the trunk mounted elephants will stand on the pillar of Pandal. Like the poster of Sequel of the movie, Amarinder Bahubali will be seen climbing through the trunk. Goswami said, the whole pandal will be made of Plywood and the idol will be very spacious. In the style of the film, Goddess will be adorned with gold ornaments. It is worth Rs 10 crore. The city will be based on Purbalok Sarbanjinin (community worship) Pandal IVF and Test Tube Baby theme. Kuntal Chaudhary of PurboLok Sarbanjin said, "Our main objective is to remove the myths spreading in relation to the process and to create awareness about fraud. This Pandal, made in a budget of 28 lakhs, is like the uterus and has used 4000 glass test tubes, beaker and other materials. Other IVF experts, including Baidyanath Chakraborty, are likely to be present to answer this process and questions related to test tube baby. In the meantime, a 86-year-old sculptor, Kurtali Sarboznan, near the houses of sculptors and sculptors, has been finalized by decorating straw and clay made of clay and cloth with clothes and ornaments. Sculptors provide a vibrant look to the statue of Bhagwati from bamboo, wood, straw and soil. Babu Pal, a spokesman for sculptors said, "We make idols with reverence because we consider them as our own daughter. When the puja ends and it is immersed, it feels like when your daughter is away with her husband to start a new life after marriage.